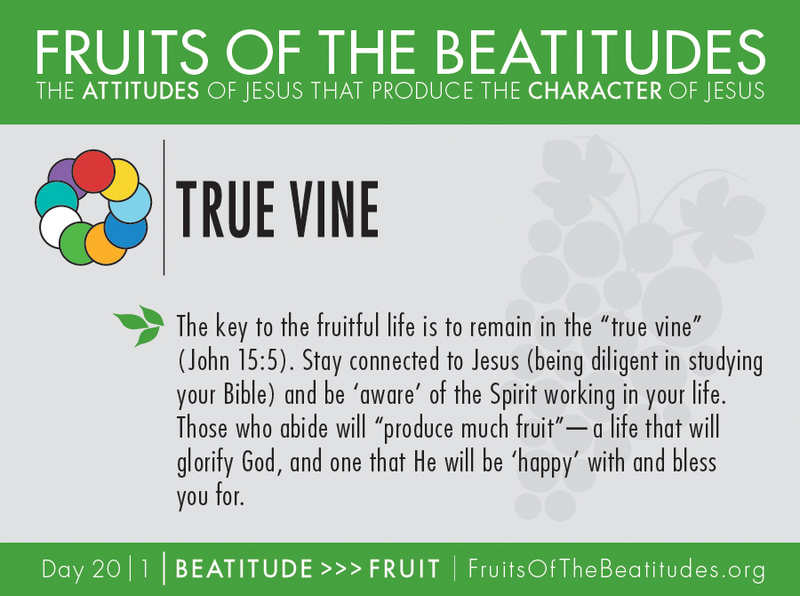 The key to the fruitful life is to remain in the “true vine” (John 15:5). Stay ‘connected’ to Jesus (being diligent in studying your Bible) and be ‘aware’ of the Spirit working in your life. Those who abide will “produce much fruit”—a life that will ‘glorify’ God, and one that He will be ‘happy’ with and bless you for.